Livos offers a fully declared, natural, safe range of eco friendly paints, stains and cleaning products that are healthier alternatives to synthetics. Our products are biologically degradable, sustainable and harmless, even in direct contact with humans, animals and plants. Safe for your home, family, and our environment without compromising quality or durability. have many years experience in the painting industry. We have built our business on quality work, outstanding customer service and the best packages and prices in Melbourne & Sydney. The Good Old Fashioned Painting Service Applied Right has painted many homes in its day, but the one we're most excited about painting is the one we're painting today. Your home could be that home. Know what you want? Great.. We love to execute on a home owners vision. Not sure whether to go mild or wild? that's where our consultive approach and vast experience shines. we'll come up with a concept that you'll love, and then we'll make it happen. MyCustomWall is a professional Australian printing company with over 70 years printing experience and a new exciting focus towards interior design. MyCustomWall uses the number 1 in self-adhesive polyester fabric printed in Australia on non-toxic and environmentally friendly wallpaper material. No need to change paint on the walls, we use full block out material that can be easily installed on virtually any reasonable surface and withstand different climate conditions. In addition, the print can be moved and re-applied over and over again to any home, office or commercial space. MyCustomWall provides a product that can lift the mood in any room but more importantly ensure you fall in love with the new custom room. You can select from our many images available in the gallery or upload your own favourite photo to display on the wall. Utilise our ‘Preview my room’ button to provide you a real visual of what your custom print will look like in the room. Bring out your inner interior design and start creating from the MyCustomWall Team ! At ATCH Concepts, we bring life to your space. Our range of feature and accent decorative elements have been developed to uplift and add character to any interior space. We are passionate about providing our clients with quality interior design products that will bring life to your space. ATCH Concepts is run by a team of Sales, Design & Operations professionals. We supply wallpaper murals & canvas art to the interior design, architecture, property development industries and the general public. *Quality Painting and Decorating* Over 25 years experience in residential and commercial painting. If you're wanting value for money and great results contact John to arrange appointment. Melbourne and surrounding suburbs. Are you finding for a reliable supplier of plasterboard and plasters? 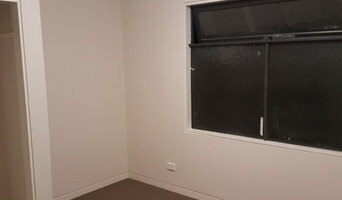 Then search no further than Bayside Plasterworks as with over 25 years of experience in the field of plasterworks, we have gained the reputation amongst the most renowned suppliers of Plasterboards and plaster materials throughout Melbourne. We have been offering a complete range of high performance plasterboards for both residential and commercial projects. At Bayside Plasterworks, we employ highly skilled and experienced team of craftsmen who are able to see through each and every plasterwork projects from start to finish and offer optimum result with 100% customer satisfaction. We have been utilizing premium quality materials and latest techniques to enhance the quality of our rendered Plasterboard Repair service. Along with this, we also stock a wide range of plasterwork products including cornices, Ceiling Rose, Corbels, Caps & Keystones, Caps, Panels, Arches Styles, Vents & Straps, Performed Arch and several others. Our workmanship, attention to detail and personal customer service have seen us develop into one of our industry's leading and known as the masters in Plasterboard services and most trusted plastering suppliers. We are a prominent Plaster Repair service provider in Bayside and along with this we also cover other areas including Hampton, Bentleigh, Sandringham, Brighton and Cheltenham. Thus, what are waiting for an expert and reliable Plasterwork service and Plasterboard Supplies in Bayside and surrounding areas? Feel free to get in touch with us and discuss your requirements! 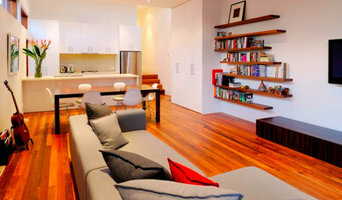 Quinns Painting & Decorating is your one stop shop for all your painting needs in Melbourne. With more than 10 years of experience and expertise in the painting industry, we provide a comprehensive range of service including interior and exterior house painting, commercial painting, wallpaper installation and roof painting. Our dedicated team of house painters and commercial painters are always ready to give you a free consultation on color selection and samples. We serve in Sunbury, Western and Northern Suburbs Melbourne. We are a registered member of Master Painter no 4093 and have fully insured public liability insurance. We only use high quality paint from the Australia’s trusted and renowned brands like Haymes, Dulux, Wattyl, Resene & Taubans. Our highly skilled and licensed painters work 7 days a week with an aim to provide you with the excellent workmanship and guaranteed job satisfaction. We quote fair and bring value to your home and office painting requirements. 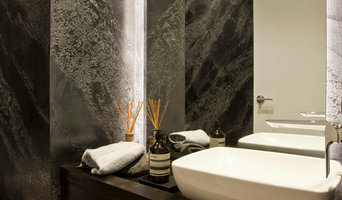 We also provide an exclusive range of unique and modern wallpapers in Melbourne to give your dull walls a new life. For more information or for any query regarding our painting services, feel free to give us a call us or visit our website.. Complete Painting and Decorating services for interior and exterior, including rooftops and decking, with gorgeous hand-painted feature walls our specialty.. Servicing Homes, Restaurants, Cafes, Shops and offices.